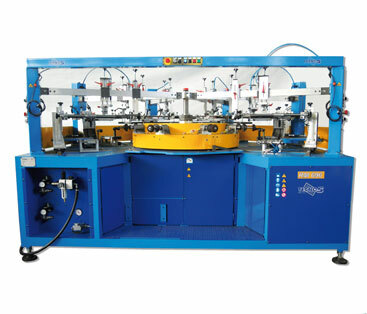 All our machines are long lasting and built according to the highest quality standards, with versatility in mind. 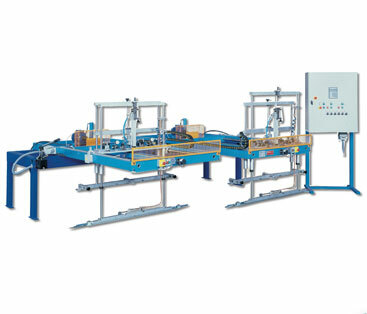 TECNO5 realizes conveyor systems on customers demand and project. 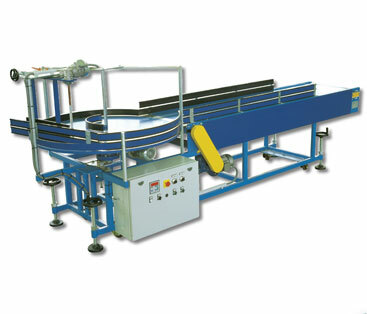 The conveyors are realized with high quality materials for a long life and reliable service. 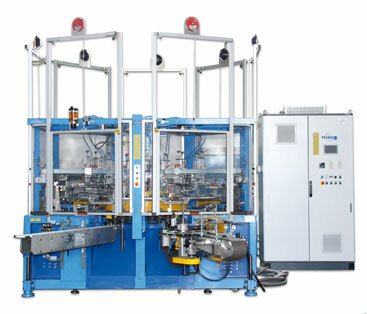 The sections can be electronically connected to the machine in order to maintain constant spacing between the items regardless of the production speed. 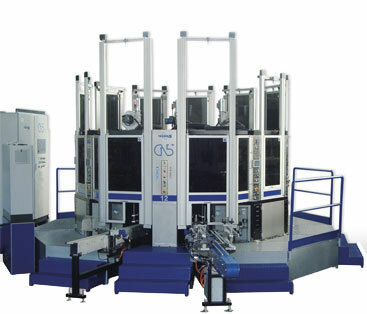 The quality of print is highly influenced by the enamel viscosity that is direct function of its temperature. 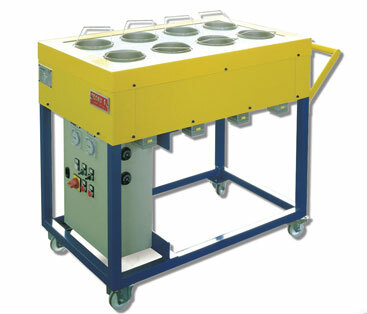 The electronically controlled Color Heater maintains large quantities of thermoplastic color at the desired temperature, allowing a constant printing quality before and after the screen-refilling phase. – by a de-palletizer (mod. 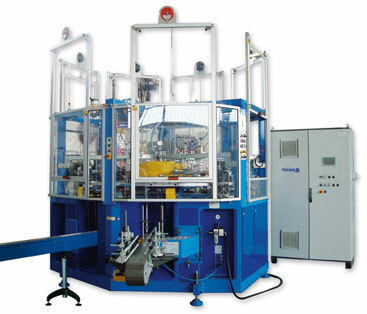 FTX). 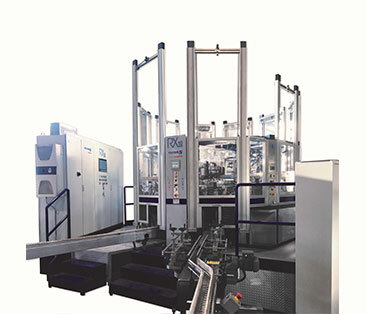 The unit provides, by means of internal sensors, for the correct number of bottles to reach the machine conveyor, avoiding in this way to create discontinuity in the printing process and scratches on the glass surface. 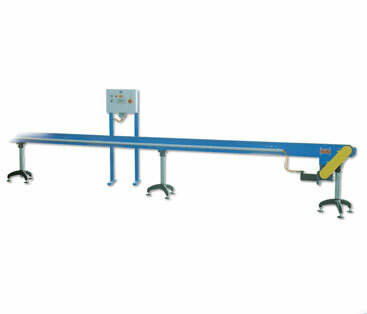 Automatic Push-bar system is suitable to transfer the printed items, from the cross-conveyor to the lehr. 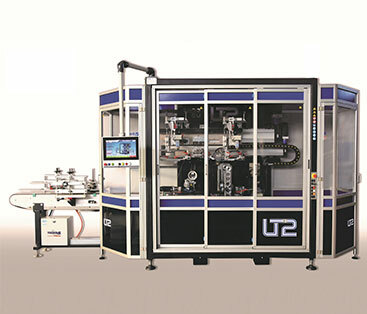 The unit is governed by PLC controller with full colors touch-screen panel and can be designed in a single or multi-body version, in order to allow the lehr’s feeding from one or from different printing machines, minimizing space, energy and work force.